Keeping track of your child’s screen time, especially with the loose schedule of summer can be a challenge. 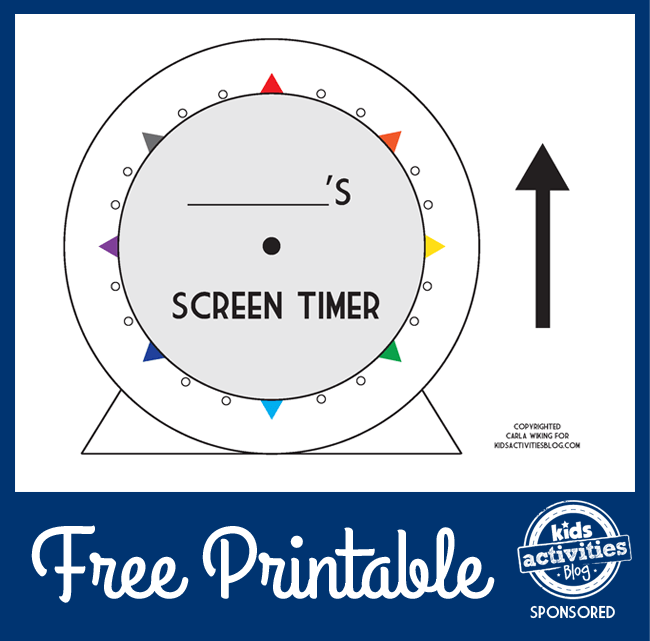 That’s why we’ve partnered with our sponsor, Verizon FiOS, to bring you this handy free printable screen time tracker. Verizon FiOS helps your kids get the most out of screen time with super fast speeds, parental controls, and awesome shows and movies on demand. This simple, free tracker helps you make sure they don’t over do it. 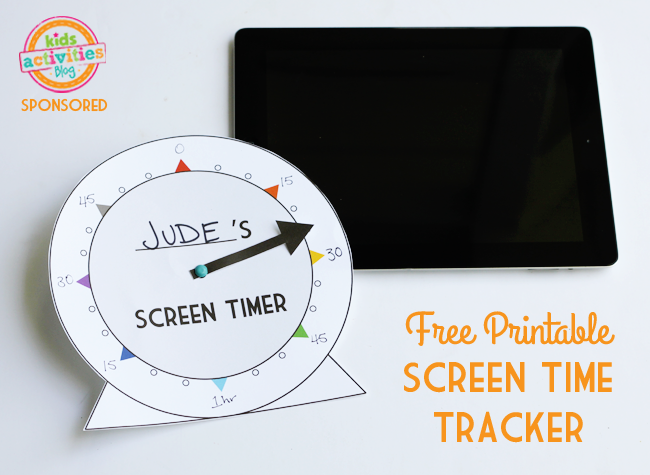 This free printable makes tracking your child’s screen time easy. No more arguing over who got more screen time or when enough is enough. Simply move the arrow each time your child watches a TV show, plays a video game, or surfs the web. This visual guide will help your child self-regulate their time spent with screens and will give you a chance to keep track and stay sane. 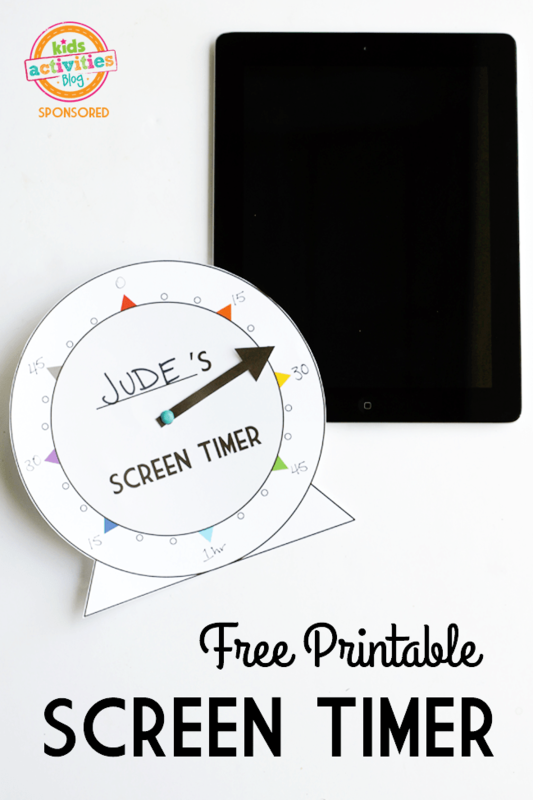 Print your timer on cardstock. Fill in your child’s name and time increments. For a 2 hour timer each triangle is 15 minutes. Cut out the timer and the arrow. Punch a small hole in the center of the timer and the bottom of the arrow. Attach the arrow to the timer with a brad. Move the arrow each time your child uses a screen. Now both you and your kiddo can monitor screen time with ease! Want to get more out of that screen time? Check out the newly launched Verizon FiOS! It is full of fun information and quirky stories like 5 Irresistible Celebrity Chef Meals Remixed for Kids’ Lunches, Budget-Friendly Life Tips Inspired by National Lampoon, and Do You Have Enough Cyber Power to Save the World? We also love that the super fast speeds of FiOS internet, plus all the awesome FiOS TV and Movies on Demand, make enjoying screen time so much easier! Nobody wants to waste valuable screen time waiting for things to load. A big thanks to Verizon FiOS for supporting Kids Activities Blog and letting us be a part of all the fun of #LifeonFiOS! 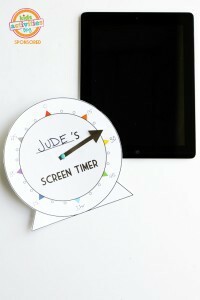 The post Free Printable Screen Time Tracker appeared first on Kids Activities Blog.